HazMat absorbents soak up aggressive chemicals fast. 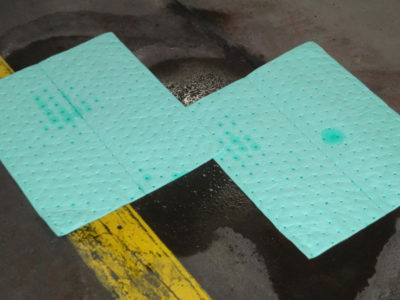 MBT Hazmat absorbent pads and rolls absorb oils, coolants, solvents, water and aggressive chemicals. Our HazMat absorbents are available in green or alert yellow to clearly identify the type of fluids being absorbed. 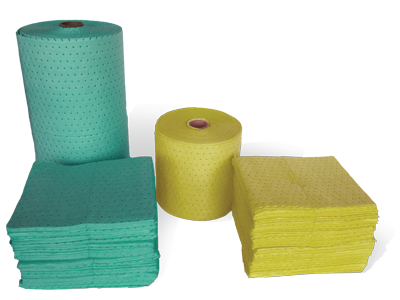 These absorbent pads and rolls are made of a super absorbent fine fiber construction, providing fast, effective clean up of harsh chemicals. 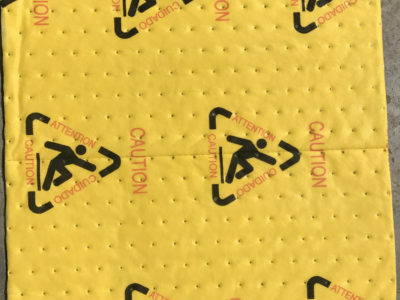 MBT fine fiber meltblown polypropylene hazmat sorbents can safely absorb most hazardous chemicals. 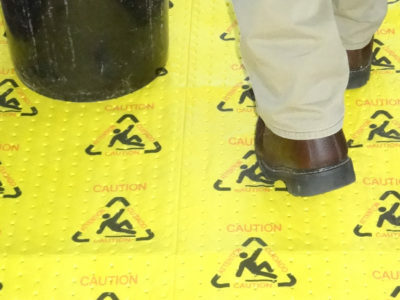 Use these pads and rolls in chemical storage areas or in laboratories. Be sure to keep proper handling apparel and approved disposal containers in close proximity. Our green and yellow composites perform the same functions. These products can also be used for MRO applications.